Is it Whoa, Woah, or Whoah? They all come from Woa or Whoo. I have to admit I was unaware of the controversy until recently when someone pointed out that I was spelling Whoa wrong. You can imagine what I said… “Whoa,” or was it Woah? I’ll admit I’ve used Woah for years. Now before you jump down my throat, I do it because I thought it was a correct spelling. I don’t remember where I first saw Woah but I know I’ve seen it before – and I had. It is misspelled so often that it is now listed as an alternative spelling in many dictionaries. 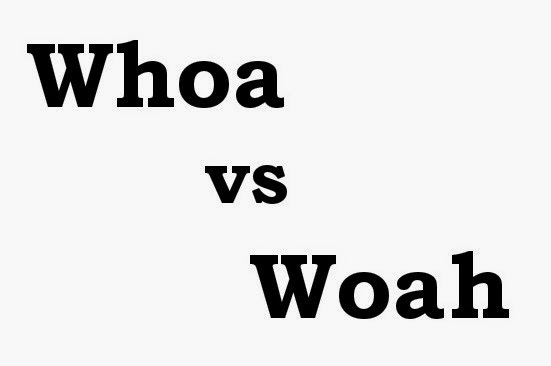 Personally, I like the look of Woah vs. Whoa. I like the H at the end. To me Whoa looks like a misspelled who. I'm not even going to touch Whoah. I’m not entirely wrong either. Woah is an acceptable variant in some countries and is preferred in others. Britain is said to use Woah over Whoa. Woah was also used in the past over Whoa, but here in America the acceptable form of the word is Whoa. Even as I type, spell-check flags every Woah and suggests Whoa to replace it. I never really learned how to spell the sounds, reactions, and vocalizations that we make. As a writer I mostly fall on the books I’ve read, how other authors describe something, but technically that’s how I got stuck on Woah. It’s not like any of my English teachers ever put these words on a test. Whoa isn’t the only one – which one do you use – Yeah, Yay, or Yah? There needs to be a book that contains all these strange words – there is it’s called a dictionary plus a metric ton of grammar books – obviously I haven’t read them… yet… but maybe I should. Does Woah really mean the same thing? Whoa is what a cowboy says to a horse, but is that the same Whoa I say in astonishment? If they’re different then shouldn’t there be a different word? These are the things that keep me up at night. Besides, if Woah is really Wo-ah then why isn’t Whoa who-a (hoo-ah). It’s enough to make a writer go crazy, and yet, I know the grammar hounds out there have cringed through this whole article. Can we just start using Wo? I didn’t think so. Looks like I have hours of Find and Replace ahead. I had fun exploring Whoa. I wrote this because of how much fun it was (read this aloud and you’ll see what I mean) but in truth write what you want and fix it in revisions. Know any more crazy sound words? Share them in the comment section. Three mystery writers will share a trio of their best writing tips at the Triple the Mystery workshop from 10 a.m. to noon, Aug. 2, at the Kirkwood Community Center, 111 S. Geyer Rd. in Kirkwood. Free to St. Louis Writers Guild members; $5 for nonmembers. Authors Claire Applewhite, Fedora Amis and Pam De Voe will also lead writing exercises on suspense, openings, and credibility (with just a small shot of obsessive-compulsive syndrome). Claire Applewhite, mystery writer and Acquisitions Editor for Smoking Gun Publishing, LLC, is a graduate of St. Louis University. Her published books include The Wrong Side of Memphis, St. Louis Hustle, Candy Cadillac, Tennessee Plates, and Crazy For You. She is an adjunct professor at the University of Missouri, St. Louis. 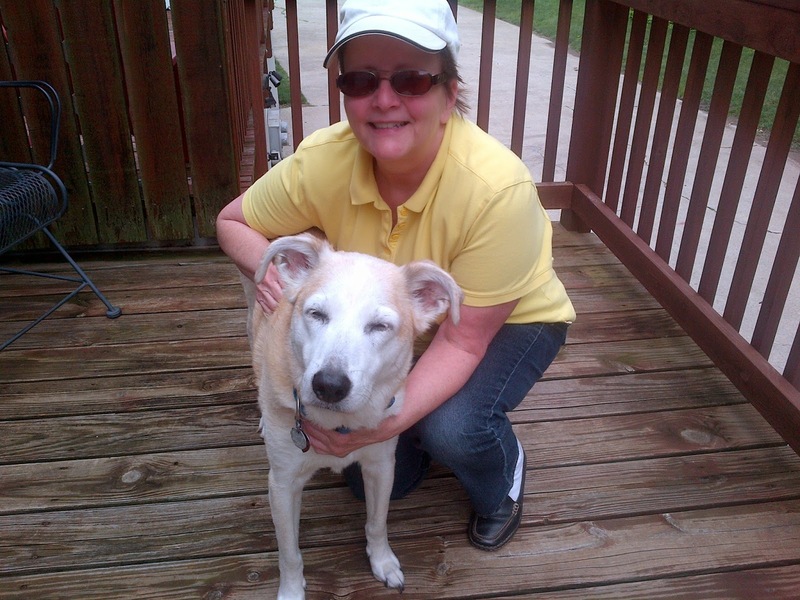 The Writers' Lens welcomes Becky Lewellen Povich, a fellow writer from the St. Louis Writers Guild! Becky was born in Illinois and has lived in Nebraska, Oklahoma, Texas, Germany, and Washington State, making Missouri her home since the 1970s. She loved reading books from a very young age, and also enjoyed writing letters to pen pals. That was really the beginning of her writing career, although she never looked at it that way. She was almost 50 years old when a family crisis brought out the writer in her and she hasn’t been the same since! Before and during the years she spent writing her memoir, From Pigtails to Chin Hairs: A Memoir & More, Becky had stories published in Chicken Soup for the Soul books, other anthologies, newspapers, and journals. She’s presently working on the memoir’s sequel, due out sometime in 2015. What brings your writing into focus-- the characters, the stories, the love of words? Stories are what brings my writing into focus. MY stories, MY memories, and how I relate them to the reader. Fill-in the blanks: Writing/Editing books is like trying to solve math word problems. You never know what kind of answer, or how many answers you’ll come up with! 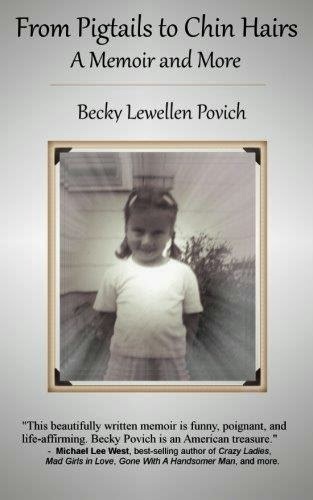 In From Pigtails to Chin Hairs: A Memoir & More, Becky Lewellen Povich takes us from her young Illinois childhood in the 1950s to present day life in St. Peters, Missouri. Each chapter is a scene from everyday life and/or unexpected events written in the way only Povich can, with humor and poignancy woven into them. She relates tales of Christmases, summertime fun, selling homemade potholders, and putting on parades with neighborhood friends. Also her fear of the dentist and her parents’ scheme to help, plus long car rides visiting grandparents in Greenfield, Iowa. She willingly shares the bittersweet times, too, which include her parents' divorce, major disappointments, preteen and teenage angst, a whack on her head from a falling crowbar, and her ill-fated first marriage, spent mostly in Germany. She also comically writes about her happy second marriage, cell phones, dishwashers, and how she was born with a klutz gene. Today's the last day to get my debut historical fantasy novel ZERO TIME, at the discounted price of only 99 cents (usually $3.99)! If you’ve ever yearned to know more about the history and spirituality of the ancient Americans–Inca, Aztec and Maya cultures–join the quest led by Xmucane and the time-traveling feathered serpent, Quetzalcoatl. 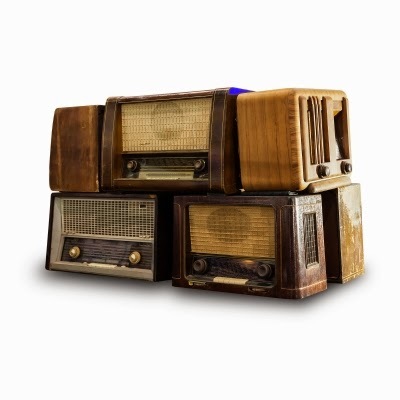 In a bygone time stories were brought over the airwaves into peoples’ homes. This mode of entertainment was eventually replaced over decades by the television. But the old dramas have become available at first on tape, now on CD and through downloads. The art of this storytelling method is revived through modern podcast dramas. But what is this storytelling method and what does it have to teach other writers? The radio drama, or as it is now referred to as the audio drama, is a story that is told nearly completely through dialog. With the exceptions of some sound effects and background music, the story unfolds with the characters describing what they see and do. When you sit down and analyze the method that is being used by the scriptwriter you will realize that this isn’t an easy task. You are having to put any description into dialog without making it sound forced. If you have difficulty with dialog or in making your descriptive narrative flow like natural speech, you might want to listen to audio dramas. Where can you find them? Look on iTunes and Radio Spirits. Or if you have satellite radio, listen to Radio Classics. Should you want to try your hand at writing an audio drama and wonder if there are any contests to send them to, well you are in luck. BBC World hosts an annual worldwide contest. You can google BBC World for more details and tips on writing audio dramas. Even if you are not interested in doing it, you might find the tips helpful with your writing. Please visit www.davidalanlucas.com and www.thewriterslens.com. You can also follow me on twitter @Owlkenpowriter and the Writer’s Lens @TheWritersLens. You can also find me on Facebook atwww.facebook.com/DavidAlanLucasAuthor. Also, check out Write Pack Radio at http://www.blogtalkradio.com/writepackradio or on Facebook athttps://www.facebook.com/pages/Write-Pack-Radio/258130144353624 or on twitter @WritePackRadio. Write Pack Radio brings Pop Culture, Writing, and Publishing together and throws them into a crucible of humor, clarity, and passion. Fiction is the world where the philosopher is the most free in our society to explore the human condition as he chooses. I before E, except after C and then there are words that don’t follow this golden rule like neighbor. I rest my case. I see why we’re streamlining the language; we have too many passwords to remember and can’t focus on all these rules. Beyond everything our teachers tried to drill into our heads, another far more sinister menace gnaws at our language. Text speak or even worse, people who don’t care about words. I know, I don’t get it either but yes there are people who don’t care if it’s an adverb, adjective, noun, or even if it's a real word. Writers and especially editors cringe worse than nails on chalk board when their eyes are assaulted by incorrect grammar. We see them everywhere and now Weird Al Yankovic, master of the parody song, has given writers a gift – Word Crimes a parody of the Robin Thicke track Blurred Lines. A quick thank you to Al for this song, not only has it brought a spot of joy to my week and an anthem for the future – but as a long time fan, I dig it! Al must be a writer. Our thanks to Linda O'Connell for sharing the story of how she and Dianna Graveman helped create these two new "Not Your Mother's Book" anthologies! How did you become involved in developing Not Your Mother's Book...On Family? I was recruited by Ken and Dahlynn McKowen of Publishing Syndicate to assist them in co-creating this anthology. Dahlynn and I had a previous relationship. She had worked for Chicken Soup for the Soul for ten years. What was the process for acquiring stories? We solicited true, first-person stories through the Publishing Syndicate website, the WOW Principles Newsletter and through social media and other writer's sites. We received hundreds of stories from all over the world, and we selected 60-65 stories. They were read by me and several editors, but the publishers made final decisions. How is NYMB different from most anthologies? The stories are not syrupy sweet or sad and sappy. 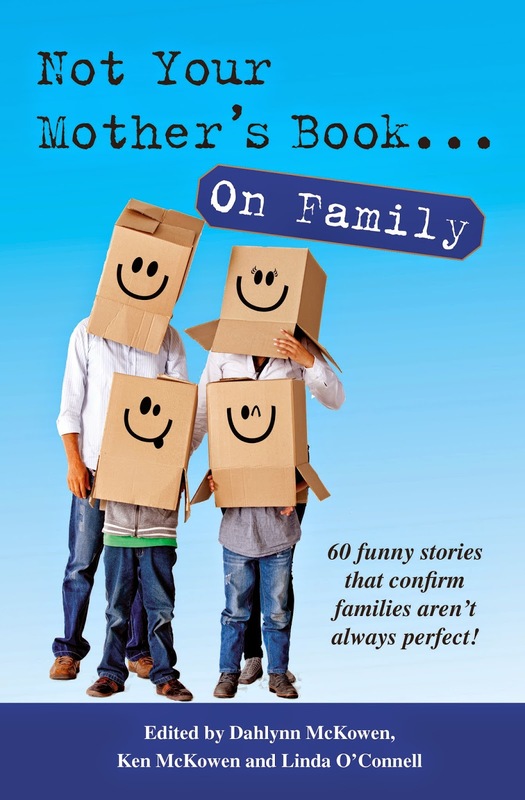 They are a bit edgy, contemporary, humorous and real, confirming the fact that families are not always perfect. The family book contains stories by both men and women telling tales out of school. Some will make the reader nod in agreement, shake their head in disbelief or laugh out loud. Did you collaborate or work alone? Dianna Graveman, a St. Louis writer, and I worked closely with the publishers to develop two separate books. It was a labor of love that lasted almost two years. Dianna co created Not Your Mother's Book...On Being a Mom. The stories in her book range from birth to empty nest and are about mothering in the modern age. These first-person accounts are relatable, fun poignant and funny. 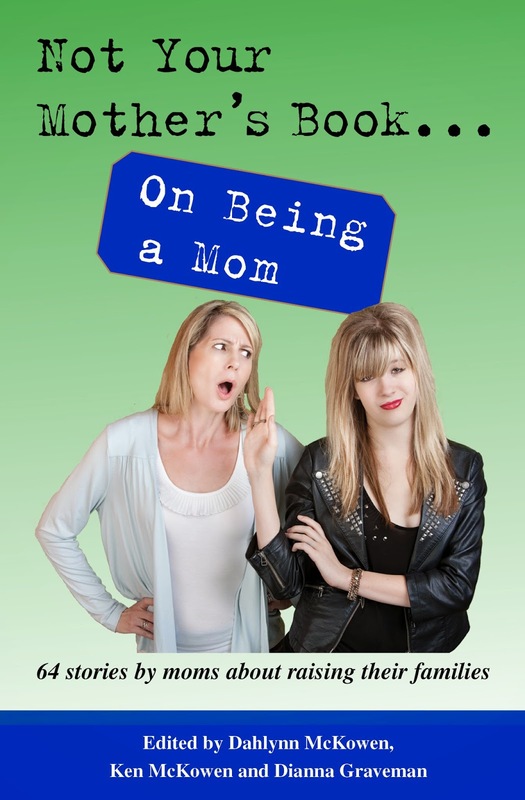 Not Your Mother's Book...On Being a Mom is the seventh release, and Not Your Mother's Book...On Family is the eighth. 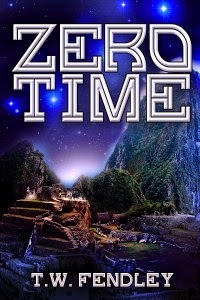 Publishingsyndicate.com has callouts for many new titles in development. Do you have a book launch event scheduled? We are planning a joint book signing for both titles at STL Books, 100 West Jefferson, Kirkwood, MO on 7/15 from 6-9 p.m. There will be as many as two dozen contributors participating. The books are also available at your local book retailer and online. 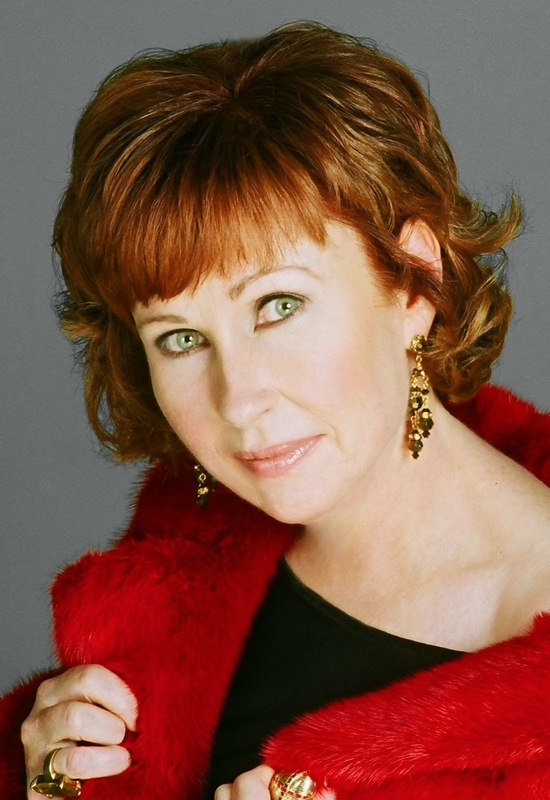 Linda O'Connell is an accomplished writer and seasoned teacher from St. Louis, MO. A positive thinker, she writes from the heart, bares her soul and finds humor in everyday situations. Although she has won awards for poetry, inspirational prose and fiction, she prefers writing personal essays. 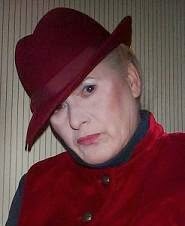 Her true stories have been published in 22 Chicken Soup for the Soul books and many other anthologies and publications. Linda enjoys a hearty laugh, dark chocolate and walking on the beach. 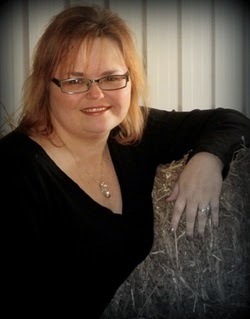 Dianna Graveman has worked as a teacher, manuscript editor, college instructor, and corporate training designer. 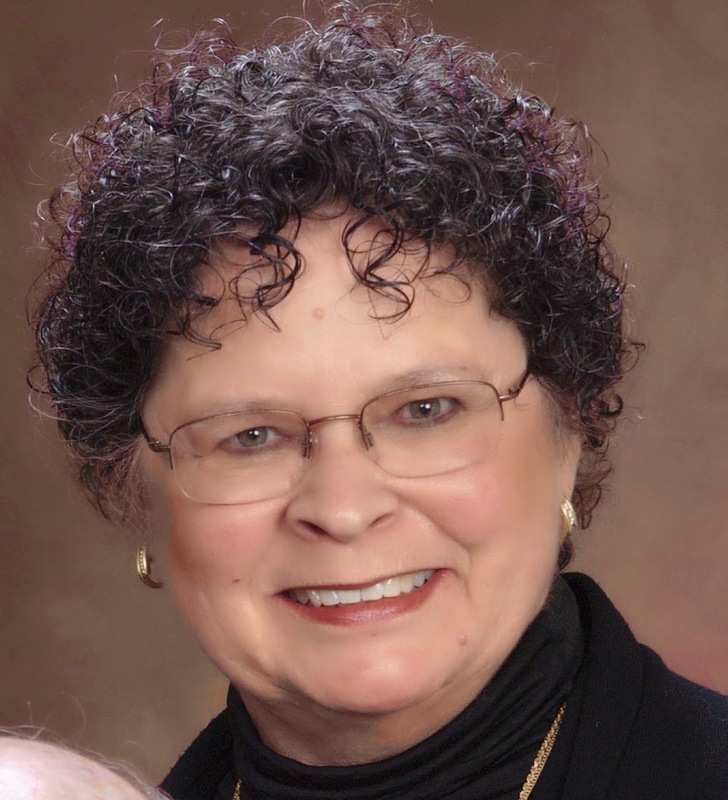 She is coauthor of four regional histories and over 160 published articles for companies and publications that include Kirkus Media, CBS St. Louis, The American Surveyor Magazine, Teachers of Vision Magazine, and Writer’s Digest Books. Dianna teaches workshops and business writing seminars for the University of Missouri-St. Louis "Write Stuff" program and presents programs for libraries, writing conferences, schools, and businesses. She also provides editorial and design services through her company, 2 Rivers Communications & Design, and in partnership with Treehouse Author Services. Labels: Dianna Graveman, Linda O'Connell, Not Your Mother's Book...On Being a Mom, Not Your Mother's Book...On Family? Welcome to L.S. Murphy, who lives in the Greater St. Louis area. She watches Cardinals baseball, reads every book she can find, and weaves tales for teens and adults. When not doing all of the above, she tends to The Bean (aka her daughter), her husband and a menagerie of pets. She is a member of Society of Children’s Book Writers and Illustrators (SCBWI) and the St. Louis Writer’s Guild. Repped by Julia A. Weber of J. A. Weber Literaturagentur. The Writers’ Lens is about "Bringing fiction into focus." What brings your writing into focus-- the characters, the stories, the love of words? For me it has to be the characters. The story can be great from a plot stand point, but if a character doesn’t resonate with me it doesn’t work. That goes for reading too. I can love a plot but not the characters. Most of the time, I get a glimpse of an idea and the characters come to me. With “The 13th Month” (available in ONE MORE DAY) I was given the theme of the anthology. Nixon, the MC, came to me first. I honestly had no idea what my story would be about at that point. His voice really spoke to me. In REAPER, it came together a little differently. I wanted to write a story about a stereotypical mean girl and turn her into Death. What would that do to her? How would someone react to that situation? The plot formed first and the character came second. I love the way characters react to whatever gets thrown at them. Sometimes it even surprises me. How do you find time to write and do a demanding job? It isn’t easy. I try to schedule writing time for myself and make it clear to my family that I’m not to be disturbed. Naturally all sorts of issues pop up during that time. It’s an ongoing battle. I always have at least one notebook or journal with me (usually three to be honest) so I can jot notes whenever there’s a minute or two. My latest writing tool is the digital voice recording app for my phone. I turn the radio off and plot on the way to work and home, then transcribe everything later. What inspired your latest book? PIXELATED, which will be released through Bloomsbury Spark, dates to a moment in high school. There is a scene where my MC, who is a city girl, drives up to her new school in Nowheresville, IA and sees a line of tractors in the school’s parking lot. That stems from my HS creative writing class. My teacher would take us out of the school for inspirational walks around town. We were walking back one day and he screamed at us, “Stop! Look!” He pointed to a line of tractors in our school’s parking lot and said, “If that isn’t inspiration, I don’t know what is. Now write!” I thought he was insane, but that stayed with me and led to writing this novel. Would you share a bit about your next project? I’m currently revising a New Adult novel about a college baseball player who suffers a terrible injury and hires a tutor to avoid academic probation. He falls for the mysterious tutor and makes some not smart choices. It’s a ton of fun since I’m writing from the male POV which is somewhat challenging. REAPER: There’s no way sixteen-year-old Quincy Amarante will become the fifth grim reaper. None. Not over her shiny blue Mustang. Her Jimmy Choos. Or her dead body. It may be sacrilegious for a writer to say this, but I have come to believe that the old foe known as writer’s block can be a good thing. When I am plotting or writing a story I will come to a point where writer’s block will suddenly shoot out of my unconscious and bring my muse to a halt. It is inconvenient, especially when I am working on a deadline. But, despite the pain the reason for the writer’s block is important. Why? There is an egoism that comes with writing. We, as creators get lost in our writing. We write things that our readers don’t read. We write the unimportant things and sometimes fall in love with. These passages feel important to the writer because it gets our character from point A to point B in our story line, but it is unimportant to the reader. The reader will at best skip them and at worse close our work and move onto some other story. When I start writing this type of section, I hit writer’s block. Actually, I don’t hit it—I crash into it like a jet plane that was going Mach speed. Despite how important or fantastic I think what I am trying to write is or how important I think it is to the reader, the unconscious side of me knows it is a huge mistake. Some would say to write it anyway and edit it out later. At least in my nature if I leave it in for later editing too much of it will stay in. Instead, I listen to this instinct that raises the writer’s block. I will sit and ponder and try to figure out what it is that was important in what I was writing and see if there is another way to address it. Sometimes that means moving on to another side project—like this blog is today. Sometimes it means doing something else entirely—for myself martial arts practice or throw darts, etc. What are the reasons you run into writer’s block and what do you do to overcome it? 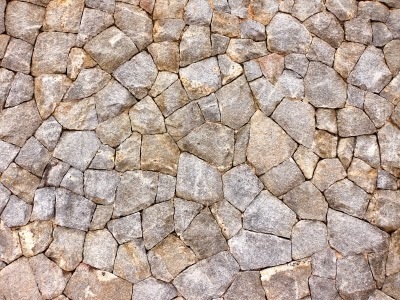 Do you find it helps your writing or a hindrance? Please visit www.davidalanlucas.com and www.thewriterslens.com. You can also follow me on twitter @Owlkenpowriter and the Writer’s Lens @TheWritersLens. You can also find me on Facebook at www.facebook.com/DavidAlanLucasAuthor. Also, check out Write Pack Radio at http://www.blogtalkradio.com/writepackradio or on Facebook at https://www.facebook.com/pages/Write-Pack-Radio/258130144353624 or on twitter @WritePackRadio. Write Pack Radio brings Pop Culture, Writing, and Publishing together and throws them into a crucible of humor, clarity, and passion.